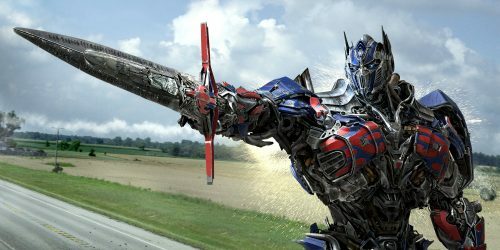 Optimus Prime and Bumblebee are in the spotlight. 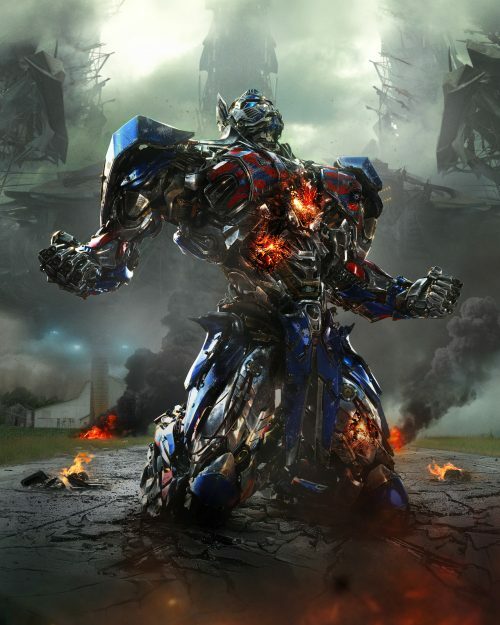 It’s the new set of images from the upcoming 4th movie in the Transformers franchise. It has a cast who can act instead of just looking pretty! It does, however have Michael Bay at the helm for a 4th time. so expect a weak plot but lots of explosions. The images are quite shocking, action shots. Both are about to go into action. The 3rd, however, reminds me of Calculon from Futurama screaming “Nnnnooooooooooo!!!!“. Fans of that show will know what I mean. Should we be referring him as Calculon Prime now? You can click on any of the below images to see a huge version of the relevant image. On the flip side, they do seem to give some hints about how the “climatic battle” will end up. It doesn’t look that good for Calculon, sorry, Optimus Prime. 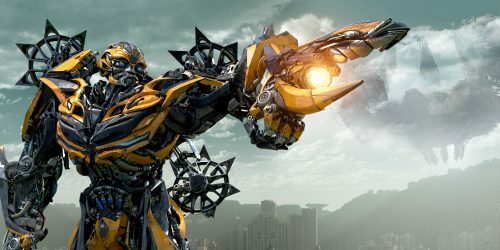 Look behind Bumblebee and see if you can spot something that look like it could be plot related. It could be the “powerful new menace” that is mentioned in the below synopsis.